Get the latest God of War tips for fast Hacksilver! Earn hacksilver in God of War for PS4, upgrade Kratos and Atreus to the max, and get all the PS4 trophies for God of War. Learn how to farm Hacksilver and get ready to spend your cash! In the following Hacksilver tips guide, we'll tell you all you need to know about the God of War currency. This includes how to make Hacksilver fast, where to find hacksilver and tips on how to increase your luck. What is Hacksilver in God of War? Hacksilver is the in-game currency in God of War for PS4. 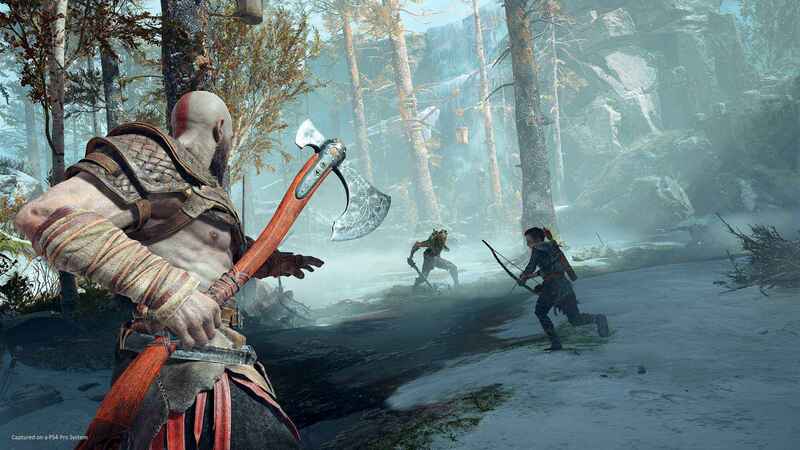 It allows you to buy new weapons and upgrade armor and weapons for both Kratos and Atreus. Hacksilver isn't the same as XP. While XP can be spent on various skills, Hacksilver is a currency that allows you to buy the best God of War upgrades. You can use it to buy crafting materials, upgrade Kratos' armor and bow and buy back gear that you might have previously sold. Explore far and wide for treasure chests containing Hacksilver. Where Do You Find Hacksilver? You'll need to use Hacksilver for various transactions at Brok or Sindri's shop. Some upgrades that you craft will require ‘X' amount of the game's currency. You can also buy materials at a certain point in the game, and spend it on generating random enhancements. 1.One of the best Hacksilver tips we recommend is starting off by focusing on your Luck stat. By increasing your Luck, the chance of getting more hacksilver increases too. The amount you get is random but affected by your Luck statistic. You increase Luck by equipping certain armor and enchantments. It's essentially a trade-off. If you equip an item that brings you more Lucky than, let's say, Strength, then you're not going to be as strong but you are going to enjoy greater rewards. In the early part of the game, when enemies aren't too difficult to defeat, wear anything that brings you more Luck, and you'll get your hands on hacksilver much more quickly. If you pre-ordered the game make sure you have your Luck of Ages Talisman equipped. This not only gives you an XP boost, but also increases your luck stat by 10%. Hacksilver tips: Enemies drop loot. 2.Find treasure chests. Explore everywhere. Treasure chests contain hacksilver as well as other items. Never miss an opportunity to go off the beaten track to find a treasure chest. Once again, increasing your luck stat will help you find hacksilver fast. 3.There's a great area to grind out Hacksilver. 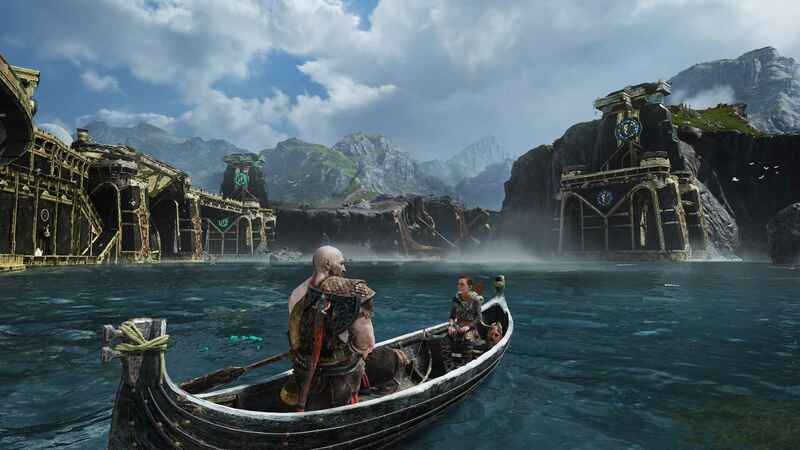 This farming spot in God of War is the best one we've found. It's available once you unlock Niflheim - you'll come across this place automatically. This is a realm with randomly-generated areas. Once you head into this area, you have a set time to get out. The beauty of Niflheim is that it's full of treasure chests, and they'll all fairly close to each other. That means you can keep going in and out of Niflheim to farm thousands of Hacksilver. Take a few runs into this area and you'll be able to buy anything from the shop. Our Hacksilver tips for Niflheim are to avoid enemies completely. You don't need to fight everything. Just run around the area opening treasure chests and get out of there before the timer runs out - otherwise you lose everything. 4.Sell unwanted resources. Sell all your Artifacts, you don't need them and they fetch good prices. There's also a resource in the game that we barely used. You don't need it. Get rid of Hardened Svartalfheim Steel, which you'll find in treasure chests. This material fetches a decent amount of Hacksilver and doesn’t have many related recipes, so don't bother holding onto it. 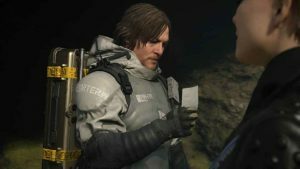 5.Partake in treasure map quests.There’s some big rewards for taking part in treasure map quests. Don’t miss an opportunity to go on the search for loot. 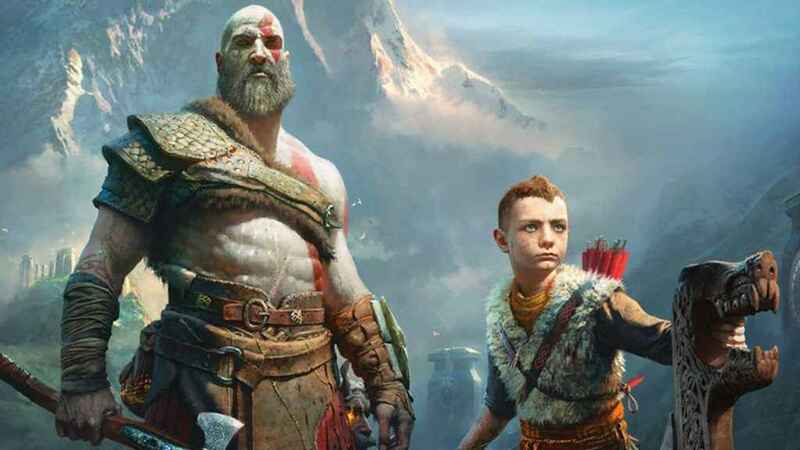 We hope you enjoyed our God of War tips for fast Hacksilver. Stay tuned for more guides!